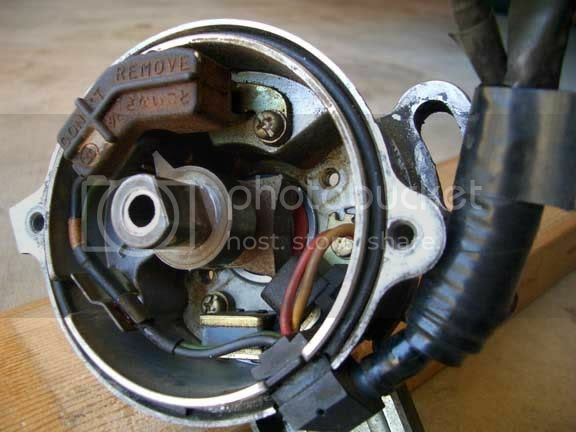 Was wondering what wire on the distributor can be used as a Cam Sensor input that can go directly to my ECU to read the teeth on the dizzy wheel. Anyone have any ideas? I removed my igniter so maybe one of the wires on that plug can be used? Any thoughts are welcome! ECU which then sends signals back to the igniter. then you must have a reset signal from the cam if you want to run sequential ignition. 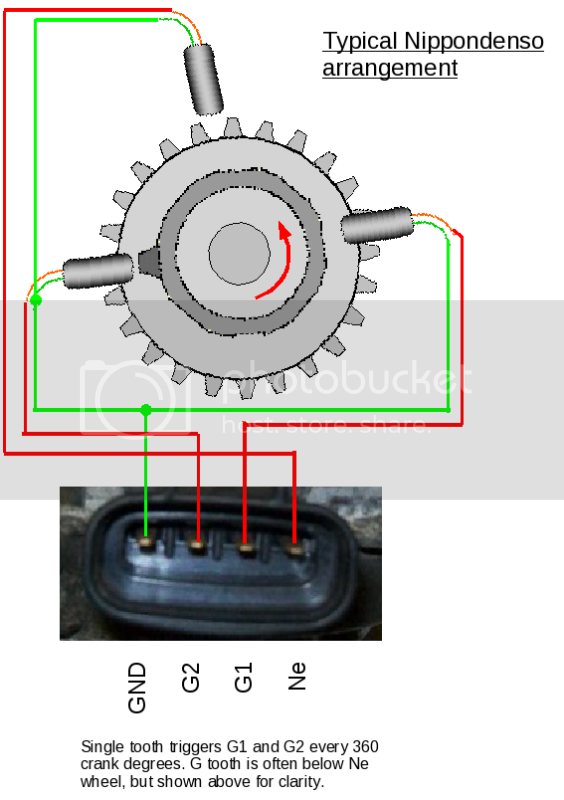 I'm trying to use that 4 tooth distributor as the trigger wheel instead of the running a trigger wheel on the crank but my ECU needs to get a signal from the distributor so that it will read the teeth on crank rotation. well looks like I will have to go with an EDIS4 setup unless I can find a 24 tooth distributor. Do you happen to know what year and model they come off of? its a 90-92 corolla right? I want to see if my local autopart's store might have one. ECU to look for a digital signal rather than an analog signal. with the original ignition system/distributor, you can use that. Yeah I do have the original igniter but I tried that and still no signal. I am told that on my distributor the vr1 and vr2 sensors are configured in a way that it wont work with my ECU so my only options are to run and EDIS4, find a smallport distributor with a 24 tooth wheel or get a 4agze cam sensor. At least if I want to run COP's. The distributor cap and plugs get in the way of my turbo so it would be much nicer to either delete it fully or cut it down in half by using it as a cam sensor only. yeah thats the one I need right there. Hopefully someone will chime in on how to acquire one. Thanks jondee!